After last week’s gaffe, Kathy Griffin may have moved from being a D-list celebrity to a D-list train wreck, at least temporarily in terms of her career. Griffin has always been outspoken, and her controversial statements have had her in and out of hot water more often than a lobster determined not to be someone’s dinner. She was banned from The View, then unbanned, then banned again. She’s been banned from The Tonight Show with Jay Leno, the Hannah Montana show, the Apollo Theater, and E!’s red-carpet award show coverage, to name just a few. 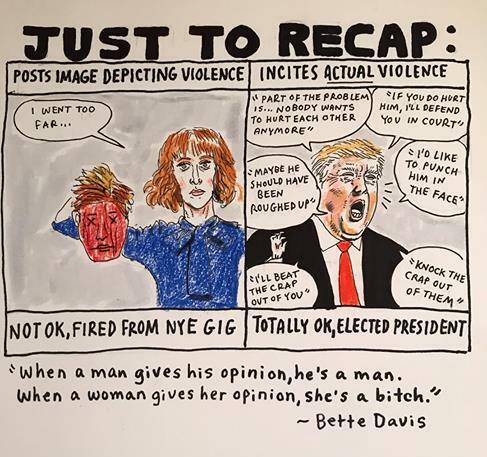 On Tuesday, May 30th, Griffin posted to social media a picture showing her holding the severed head of a Donald-Trump-lookalike, with a caption that read “There was blood coming out of his eyes, blood coming out of his… wherever,” referencing a comment Trump himself had made about Megyn Kelly during the presidential race. The reaction was fierce – liberals and conservatives alike, not to mention the Trump family – lambasted her for poor judgment, bad taste, even questioning her mental health. The next day, CNN announced they were firing her as co-host of the annual New Year’s Eve broadcast with Anderson Cooper, a spot she’d held for the past several years. Tour dates, endorsement deals and other scheduled media events collapsed like a house of cards. 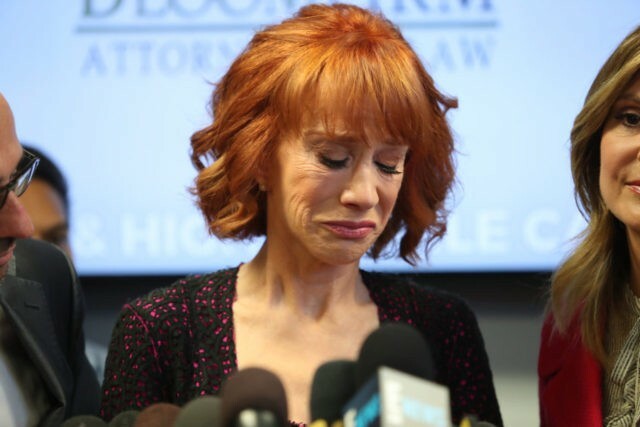 Painfully aware of the repercussions to her career, Griffin immediately apologized on social media, made a tearful public statement accompanied by her attorney, and told everyone how truly sorry she was. Although she insisted that she’d never intended to provoke violence against anyone, she said the Trump family was now intent on ruining her life forever. Griffin had worked very hard to be in the spotlight, but now she was like a butterfly under a magnifying glass, her wings going up in smoke. Kathy Griffin was born on the 4th of November 1960, reputedly at 06h00 (source: AstroTheme) in Oak Park, Illinois. She was the youngest of six kids, was schooled by Roman Catholic nuns, and consequently developed a dislike for organized religion and authority figures. She had a binge-eating disorder when she was young but also developed a motor-mouth persona via which she regaled family and friends with juicy gossip, jokes and trash talk. When she was 18 she talked her parents into moving to Los Angeles to help her become famous. She joined an improv group, did stand-up comedy, got some bit parts in movies and eventually gained regular gigs on TV. Before long she was getting her own comedy specials on a regular basis, meanwhile putting out comedy albums and writing her own memoirs. Given her combination of celebrity-bashing, irreverent wit, and controversial statements about anything she deemed fair targets (eg, plastic surgery, Scientology, substance abuse, and eating disorders), she was pretty much a household word in the comedy world. Like most people, Griffin has a mix of strengths and weaknesses in her birth chart. Her Sun is debilitated in Libra in the 1st house, which speaks of an undisguised ego in all its raw glory. Since it’s the lord of the 11th, the Sun’s vulnerability may also play out in her social networks and income. She does count a lot of famous people among her genuine circle of friends, but it remains to be seen how many stand beside her. There’s no doubt, however, that her income stream will take a hit. Her Moon is very bright, just a day after the full moon, and exalted in Taurus, but in the 8th house. 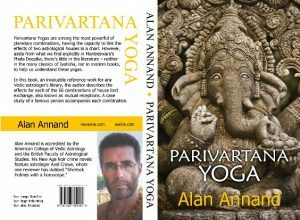 As the 10th lord in a trikasthana, this is perfectly symptomatic of her career – two steps forward, one step back – banished beyond the pale today, creeping back into the spotlight tomorrow. The Moon and Venus are in mutual aspect, forming a Dharma-Karma Adhipati yoga while, generically, they form the equivalent of an artistic “yoga.” Since Venus is lagnesh in the 2nd, this is fitting for someone who depends on verbal prowess to stake her claim in the public eye. Jupiter is powerful in its own sign in the 3rd, and there’s no doubt she has courage to tackle taboo subjects or powerful people. Maybe too much. The joint influence of malefics Mars and Saturn on that Jupiter, which is both her 3rd lord (courage/talent) and 6th lord (competitive spirit) will mean there’s lots of push-back. Hopefully by now, she’s learned to accept it as a form of resistance training. Where does she go from here? Maybe nowhere in a hurry. She’s in the very early stages of her Saturn dasha, which started February 2016, and the Saturn bhukti will last until February 2019. Let’s assume these next two years will not be easy for her. But Saturn is in a Venus nakshatra, so we must first look to that star-lord to anticipate the key themes of what will transpire. She might also become more active in support of underdogs, with whose plight she is somewhat familiar. She’s long been an activist for the LGBT community, and in the Trump era when that whole demographic is being trampled upon, she may find an appropriate cause célèbre to which she can devote at least some of her considerable passion. The dasha/bhukti will also play out according to Saturn itself. Saturn is a positive house lord, of the 4th and 5th, and Saturn generally does okay in an upachaya house, where the standard line for the 3rd and 6th is, things start out badly but get better over time. But Saturn in the 3rd is 12 houses removed from the 4th which it rules, which is a poor prognosis for the mother. In reality, Griffin’s mom turns 97 on June 10th. These next two years, while Griffin is running Saturn-Saturn and transiting Saturn is back in her Sagittarian 3rd house to complete her Saturn return, delineate the likely period of her mother’s demise. Meanwhile, however, Saturn in the 3rd is 11 houses removed from the 5th which it also owns. This is promising for creativity in general, and authorship in particular, since all three planets associated with writing – 2nd lord Mars, 3rd lord Jupiter and 5th lord Saturn – are all in sambandha via mutual association and aspect across the 3rd/9th axis. So Griffin may hunker down for next two years, devote time to family and favorite causes, and write another book. But she’ll bounce back, her ego bruised and somewhat deflated, but not broken.